This brunette lady detective is ready to solve crimes! 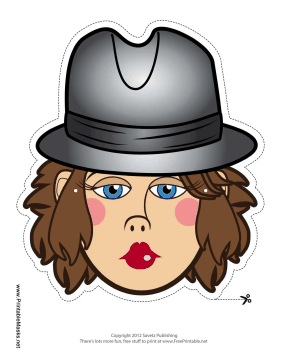 This female detective mask's black hat, blue eyes, and rosy cheeks are sure to send criminals quaking in their boots! This mask is free to download and print.